Michael Whitaker Smith has become one of the most enduringly popular artists on the Christian Contemporary Music front and is also finding considerable success as a mainstream artist. He was born in Kenova, West Virginia, the son of an oil refinery worker and a caterer. He became a devout Christian at age ten and spent his teens hanging around with a solid support group of fellow believers who frequently gathered to play and make music. After high school, that support group split up, and Smith turned to alcohol, drugs and wild times. He scraped through a couple semesters of college and began honing his songwriting skills. In 1978, a songwriting company expressed interest in his songwriting, and he moved to Nashville, where he played with local bands, including Rose. He was still heavily into drugs and continued using until October 1979, when he suffered a sort of emotional mental breakdown that culminated in recommitting to Christ. The next day he auditioned for a new CCM group, Higher Ground, as a keyboardist. While touring with them, Smith cleaned up his act. In 1981, he signed to Meadowgreen Music as a staff writer, where over the next few years he provided gospel hits for such artists as Sandi Patti, Kathy Troccoli, Bill Gaither and Amy Grant. He began touring as a keyboardist with Grant in 1982 and the following year, after releasing his first album, The Michael W. Smith Project, became her opening act. His debut album garnered him a Grammy nomination for Best Gospel Performance. Smith became a headliner following the release of his second album, Michael W. Smith 2. Afterwards, he changed musical directions and began recording more rock-oriented music in order to reach a younger audience. As a result, some of his songs became more secular and began breaking through to mainstream audiences. His first real shot at mainstream music came in 1991 when his label, Reunion Records, allowed Geffen Records to distribute his albums. They chose a two-pronged promo campaign with ads designed to appeal to both CCM audiences and to the mainstream pop audience. This has caused some controversy among his more religious fans, who feared that Smith was selling out to the more lucrative secular market, but Smith saw it differently, claiming that he is really only trying to get his message out to a wider audience and to help young people. Over his career, Smith has won both Dove and Grammy Awards, has topped Billboard charts and has been hailed by Keyboard magazine as one of the top keyboardists in rock. 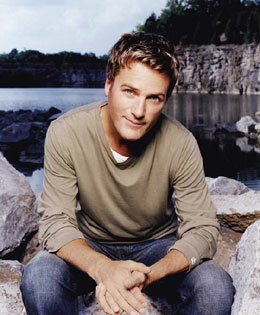 Continuing his musical reign into the new millennium, Michael W. Smith had sold more than seven million records and had 25 number one hits. And Smith's undying commitment to music came with his first instrumental record entitled Freedom. This album, which was recorded in Ireland, featured backing from the Irish Film Orchestra Limited and contained Smith's personal songs composed with his classic piano arrangements. The live albums Worship and Worship Again arrived in 2001and 2002. 2004 saw the release of Healing Rain, Smith's first recording of new studio material since the turn of the millenium.